Dubai is one of the truly global cities in the world. The city is a haven for both leisure and business travelers arriving in the Middle-East. Today, Dubai is home to thousands of Indians in the UAE. So, the question that needs asking is, what does an Indian miss the most when away from home? Well, the answer obviously is – Indian Food! When abroad, every Indian’s main concern is how to get a homely meal in foreign lands. We solve that with the Bikanervala Courtyard, an Indian fine dining restaurant in Dubai. The restaurant recreates the old-world charm with its décor and comfortable seating arrangement. But that is not all, you can now place online orders for Indian food delivery in Dubai. The Bikanervala online sweets shop and restaurant can be accessed at www.bikanervala.ae. Here are four reasons why Bikanervala is the best Indian food delivery service in Dubai. Bikanervala is known for the taste of its homely food and beverages. All ingredients are sourced fresh and cooked in Pure Desi Ghee to infuse them with healthy goodness and mouthwatering aroma. 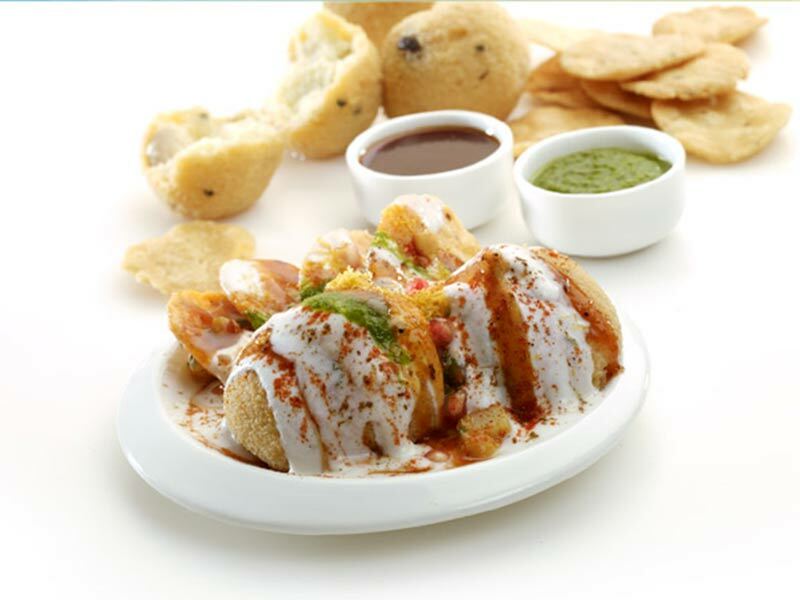 Be it the main course, your favorite Indian fast food or a beloved Indian dessert, everything tastes just like home. It is not just the quality of Bikanervala food but the packaging as well that will impress you. We use food grade materials for packaging online orders. Which means your favorite delicacies reach you without losing any of the promised flavor or aroma. Our snacks and sweets items are come with even more secure packaging, allowing you to travel with them without having to worry about spoilage. Your orders are sent to the kitchen as soon as you place them online. Our fast and efficient kitchen management and the delivery system helps us deliver orders with minimal wait times. So, if you have a sudden craving for delicious Indian food when in Dubai, Bikanervala online sweet shop and restaurant is the answer. Bikanervala celebrates special moments with special sweets and snacks hampers. You can order these special Indian sweets online and have them delivered to your loved ones for a nice surprise. Especially if you are in India and wish to surprise a loved one in UAE with his/her favorite sweet, snack or food – place an order online with Bikanervala AE and we will take care of the rest. So, there you have them, four reasons for ordering Indian food online in Dubai with Bikanervala AE. Follow our blog for the latest updates on new food and beverage additions to our restaurant and online Indian sweets shop in Dubai.